Amma has been honoured with the Gandhi-King award for non-violence and is the founder of the UN-collaborating non-profit organisation Embracing the World. There is no need for registration for visitors. Please stay tuned for further Information regarding parking, car pooling and visitors accommodation. In her talks, Amma offers guidance for a happier and more peaceful life and refers to important issues of todays world. For safety reasons, only hand bags are permitted within the event hall. Large bagagge items are not allowed. The space of the lugagge storage is very limited and we kindly ask you to plan your visit in accordance with this safety instructions. Thank you for your understanding. All events with Amma are free of charge and open to the public. There is no registration needed. Donations for Amma’s charities are greatly welcome. To meet Amma personally everybody needs a ticket/Token which is distributed 75 minutes before the program begins. Please note: There is a limited number of tickets, so come on time. Delicious food and drinks will be available: We serve Indian and vegetarian regional specialities, snacks, hot and cold drinks. In addition, you are very welcome to enjoy a massage, get an astrological consultation or visit our beautiful display of Indian products. For security reasons, it is prohibited to bring your animals. Parking is available near the hall for a fee of 5 € per day. In case of heavy rains, the parking lot can not be used. If it rains heavily, please drive to „Bienenmarktplatz“ in Michelstadt instead (the address is: Bienenmarktplatz, Wiesenweg, 64720 Michelstadt – Google Maps). We are planning to shuttle people from there to the venue. Street parking in Kirchbrombach is strictly prohibited. A security service will issue fines and cars parked on the street might get towed, for which the vehicle’s owner will have to pay. So please only use our and clearly labeled designated parking lots. Thank you. Another platform for sharing rides is www.blablacar.de. There are meeting points for people organizing their own rides, and for sharing taxis, near Bad König train station and in Michelstadt. For your return trip, there is a meeting point near the venue entrance. There is limited parking for campers near the venue for both volunteers and visitors. Please not that due to strict environmental regulations, waste water must not be disposed near the venue (you can do this at official camp grounds in Bad König or Michelstadt). Contents of camper toilets can be disposed in the mobile toilets at the venue. There is a deposit of 100 € (which you get back when you leave) because the venue is located in a nature reserve. Parking for campers is 25 € per day. Reservations are not possible. Important: In case of heavy rains, parking near the venue will not be available. Busses can not park at or near the venue, but only in Michelstadt or Bad König. Please refer to www.bahn.de for schedules and tickets to Bad König. Once you arrive at Bad König station, you can either take a bus or taxi. Bus: take a public bus to „Brombachtal-Kirchbrombach Mitte“ or to „Brombachtal-Kirchbrombach Apotheke“ and walk about 650 meters up the hill from there. Refer to www.odenwaldmobil.de (German), www.rmv.de (English) or www.bahn.de (English). Taxi: About 6.2 kilometers. Call +49 6063 93 000. Every program Amma holds across the world is run by volunteers, keeping costs as low as possible and ensuring that more of the funds raised go directly to her charities and those in need. 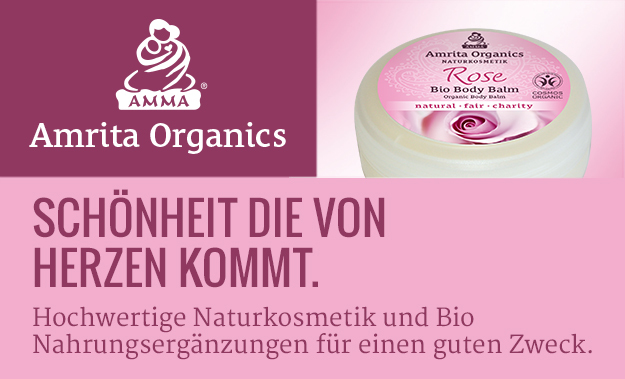 Can you imagine helping during Amma’s Hof Herrenberg program or even already during the set-up? We will be very happy about your visit at the volunteers desk inside the hall. Everyone helping 6 hours per day is offered accommodation at a fixed service charge. Once you completed the registration for volunteering you will receive a link to register for accomodation.